Competition at the Langley Mustang’s Invitational Meet went well for Royal City Track and Field Club athletes June 19-21. The club was represented by more than 25 athletes who as a team accomplished 13 medals and 56 top 8 finishes in a wide range of events from shot put and javelin to high jump, hurdles and steeplechase! In the 9 year old age-group, top eight performances included: Noah Brolin with a bronze medal in 100m and 5th in 60m dash and Markus Savela’s 4th in 600m, 6th in 60m, 5th in long jump and 6th in shot put! 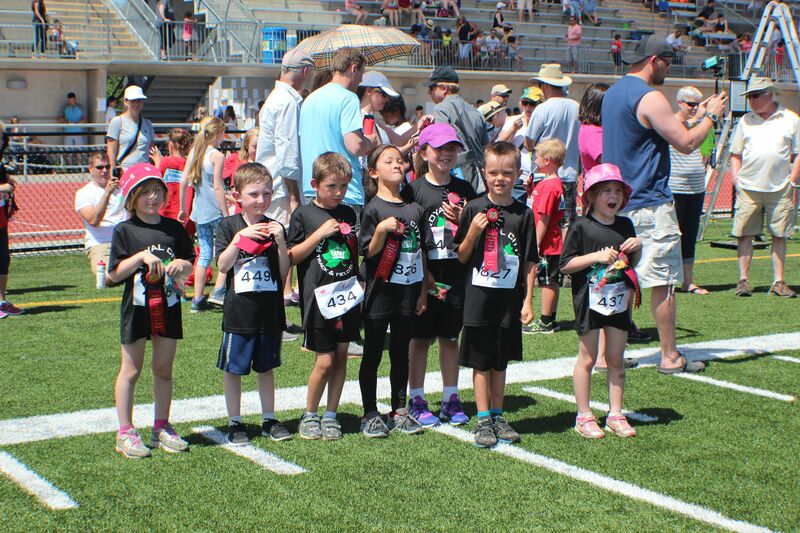 For 10 year olds, Nicole Blatherwick took silver for javelin and 7th for 60m hurdles, Katherine Martin took bronze for javelin and 6th for high jump, Kenan Burrows won 6th for shot put and Andrew Murray won 8th place for 60m hurdles and long jump. Monika Arcadi, 11, accomplished wins in a range of events, including bronze in 1000m, 4th in long jump and javelin and 5th in high jump and 600m. Cameron Dewith won 5th place in the 11 year old boys’ 600m. For 12 year olds, Shankara Rajkumar won silver in 300m and 5th in 200m and Riley Storms won 6th in 800m and 8th in 80m hurdles. The 12 year old girls relay team also won the gold medal in the 4 x 100m-way to go! Emma Celle won 8th in discus.